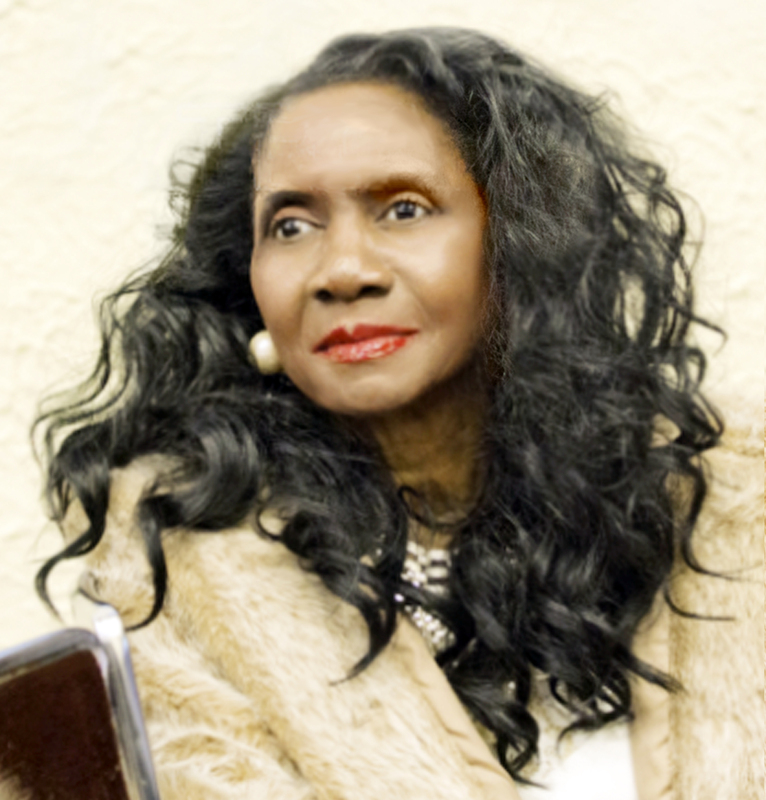 Dr. Juanita Bratcher, Award-Winning Journalist, Author, Poet, Songwriter, and wife of late labor leader Neal A. Bratcher, Sr., died early Friday, March 29, 2019. She was 79. She was the Publisher & CEO of CopyLine Magazine, a former investigative news reporter for the Southeast Alliance, Roseland Review, Southend Review and the Chicago Daily Defender. She was also the Host of “One on One”, a cable television show and “Footnotes to the News”, PCC Network. Dr. Bratcher successfully became a published author of seven books, the author of more than 700 poems, many of which have been published in various anthologies. She was also a song writer and the songs she wrote have been recorded by professional recording artists. Dr. Bratcher served as a Press Aide to Cook County Board President John Herman Stroger, Jr. in his successful run for President of the Cook County Board in 1994; served as a Special Assistant to Stroger in Cook County government in 2005, and was Press Secretary to the Stroger Re-Election Campaign in 2006 during the Primary Election campaign. She was also authorized by Cook County Board President John H. Stroger to write his official biography, “Beyond The Boardroom: Empowering a New Generation of Leaders” and served as a Press Aide to the late Alderman Lorraine Dixon in her successful run for re-election to the Chicago City Council. She was the recipient of numerous awards for Journalism Par Excellence & Community Service (too many to list). Dr. Bratcher has received over 30 different professional Who’s Who Awards for excellence. Her Journalism Career spanned more than 40 years. She died peacefully in her sleep on the morning of Friday, March 29, 2019. Services for Dr. Bratcher were private. CHICAGO, IL – Illinois Attorney General Lisa Madigan, along with 10 other attorneys general, today announced she will file a lawsuit challenging the federal administration’s policy of forced family separation on the U.S. southern border. The lawsuit will be filed in the U.S. District Court for the Western District of Washington. The lawsuit will allege that the administration’s family separation policy violates the fundamental due process rights of parents to be with their children, as well as other constitutional and statutory claims. The states will ask the court to order the federal administration to immediately comply with the law beginning with correcting the egregious flaws in his executive order and creating a process to reunify the thousands of families torn apart by his cruel and unconstitutional policy. Following a close review of the President’s executive order, Madigan and the coalition of state attorneys general see two main problems. First, the order does nothing to reunify families already torn apart by the federal administration’s policy. Second, the order is riddled with so many caveats that it is rendered meaningless. Specifically, the order requires appropriations, although the total amount is unknown, and the timeline for when or if such an appropriation would happen. It also relies on a federal judge approving a plan to indefinitely detain children, which is an unlikely scenario, and, in any event, would also raise serious legal issues. On April 6, U.S. Attorney General Jeff Sessions announced a new so-called “zero tolerance” policy on the U.S. southern border. The federal administration has been clear that the purpose of the forced separation policy is not to protect children, but rather to deter potential immigrants from coming to the U.S. In practice, this meant that instead of making case-specific evaluations of individual cases, respecting due process rights and family integrity, the federal administration began prosecuting all possible immigration crimes, accusing and detaining all adults, even those with a legitimate asylum claim. The intended and acknowledged effect of this policy has been the separation of parents and children at the border. Notably, there is no such “zero tolerance” policy at the northern border, and recent reporting indicates that the Border Patrol only tracks “family unit apprehensions” for immigrants from El Salvador, Guatemala, Honduras and Mexico. The effects of this policy have been stark. In March and April of 2018, the number of families from Latin America apprehended at the southern border increased dramatically, from 5,475 in February to 8,873 in March (a 62 percent increase) and 9,653 in April (a 76 percent increase from February). That’s nearly nine times as many compared to March 2017, and more than nine times as many compared to April 2017. Children have been brought to Illinois who were separated from their families under the current policy. Joining Madigan in filing the lawsuit are the attorneys general of California, Iowa, Maryland, Massachusetts, Minnesota, New Jersey, New Mexico, Oregon, Pennsylvania and Washington. New York, NY (BlackNews.com) – In an experimental documentary, indie filmmaker Brandi Webb has indicted the U.S. government on charges that hold it accountable for crimes committed against citizens of color. These crimes date back to the beginning of American history up to present day. Errol Louis, Amy Goodman, Akeem Browder, Ajamu Baraka, Gwen Carr, Korey Wise, Dr. Lenora Fulani, Mysonne Linen and several other activists provide real life interviews that serve as supporting evidence throughout the trial. Ms. Webb has launched a crowdfunding campaign along with a highly-charged, emotional trailer, to help raise her goal of $15,000 to complete her film project entitled, Betrayal of a Nation. The documentary project, is centered around a scripted, heightened trial, in which an ambitious prosecutor for the People goes head to head with a defense attorney for the U.S. Government. The attorneys dispute the government’s involvement in slavery, the destruction of Black Wall Street, the execution of African-American leaders, a failed education and criminal justice system, and poverty. Betrayal of a Nation is a hybrid film that blends together the traditional elements of documentary and narrative films. Ms. Webb has labeled the project a Narrative Documentary. Currently, 80% of the film is complete, but additional expenses are required in order to complete the entire film. Donations can be made, and the public can view the trailer and information about the film at www.gofundme.com/bon-com. Any contributions of $1,500 or more will receive executive producer credit. Betrayal of a Nation is expected to be completed by fall of this year, however, the campaign will continue until Ms. Webb reaches her fundraising goal and has completed the project. Following the 2016 murders of Philando Castile and Alton Sterling by police officers, Ms. Webb became overwhelmed with emotion and was frustrated with the countless acquittals and non- indictments of these police officers, throughout the nation. She created Betrayal of a Nation in an effort to educate and explore what actual justice in America might look like in the form of storytelling. While African Americans make up 11% of Missouri’s population, they make up 33% of Missouri’s death row (8 out of 24). Like Marcellus Williams, almost half those on death row in Missouri are from St. Louis County and of those; most were convicted by all-white juries. The NAACP is putting its national support behind the push by its Missouri State Conference and state units to push the governor to act before he leaves office today at 5 PM Central Standard Time. For a copy of the letter: Click Here to read Marcellus Willams’ Request for Commutation. Nationwide (BlackNews.com) — If Black people only knew their value, we wouldnt have all the major problems we have today. What problems, unemployment or jobs that pay us less than our white counterparts for doing the same job, schools that treat our children different when it comes to punishment and graduating those who can barely read and only teaches our history of slavery and civil rights, which we’re still fighting for today. Healthcare that discriminates based on the color of our skin, banks that deny us loans or when we get loans, theyre subprime or higher rates than our white counterparts. These are but a few of the problems in our community that we could solve, if we only knew our value and worked together. These are just some of the things we complain about every day, but refuse to come together to solve them. We go into debt to get a good education, in order to get a good job, where we have to act, look and sound different than if we were around our own people. But we complain about all these things, but wont work together to create or support our businesses. Now you have this new NFL owners rule that doesn’t allow our players to protest to draw attention to the injustices we face every day. But the NFL is 70% Black, yet they refuse to stand together, in order to help make serious changes for our community. If just half of the 70% would have supported Colin Kaepernick when he first drew attention to the injustices in our community, the owners wouldn’t dare put this rule in place. But our players are so afraid of losing their money and fame, they won’t stand up for what’s right. Don’t they realize who the fans are coming to see? But they would rather work on the plantation and take whatever is dished out to them. The NBA which is 80% Black is no better, along with entertainers. This is why I say we don’t know our value. Our ancestors can’t be resting peacefully, considering they gave their lives and careers in order to make our lives better, and to have us only remember them on their birth or death day, rather than practicing what they preached. Every year we celebrate Dr. King, Malcolm X and to a lesser degree, the Honorable Marcus Garvey along with the many others who focused on the solutions rather than the problems. We have the solutions to our problems, we only need to work together in order to solve them. Let us not pass down to another generation the lack of respect and value we have for ourselves. Let us at least give them options so they can have choices. Let’s focused on the solutions rather than the problems, and the most important one is Black Unity. 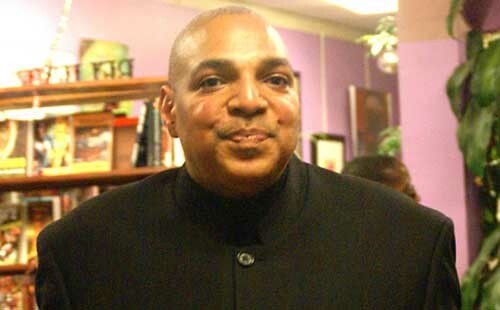 Terrance Amen is founder and CEO of 3Ufirst FPC, created to end the major problems in the African American community, by bringing some of the trillion dollars we spend every year, outside our community, back to our community. Based on his book, “Black Unity: The Total Solution to Financial Independence and Happiness”. For more information, go to www.3ufirst.com. BALTIMORE, MD — The National Association for the Advancement of Colored People (NAACP), the nation’s premier civil rights organization issued the following statement regarding the National Football League (NFL) owners decision to ban kneeling on the field by players as symbolic protests against the unfair treatment of African-Americans. “Protest is an American tradition; by protesting we work to hold our country accountable to its highest ideals. Instead of coming together to address an issue disproportionately plaguing the African-American, the NFL owners have chosen to bury their heads and silence players. Players cannot disconnect from the aggression African-Americans face every day. Just a few weeks ago, an NFL player was stopped by police and accused of being a gang member. Others including Michael Bennett have experienced dangerous and threatening experiences at the hands of police. “The issue of police brutality remains a pressing issue when 408 people have been killed by police this year. Black men are almost three times more likely to be killed by the use of deadly force than White men. Despite the annual killing of approximately 1,000 people by police, in a 12-year period, only 28 police officers were convicted of murder or manslaughter for an on-duty killing. CopyLine Magazine will host a Round Table Discussion on what happened during 8th Ward residents fight to keep the Low Income Housing project scheduled for 94th & Stony Island out of the ward. And to also discuss “where opponents to the housing project go from here” since it has already been approved by the City’s Zoning Board. But some residents say they are thinking about taking legal action to keep it out. The Round Table Discussion will be held May 24th at the Avalon Public Library, 8148 S. Stony Island Ave., from 3:30 PM to 5:00 PM. The program will be streamed live on Facebook and will soon air on cable. There will be a Question and Answer Session during the Round Table Discussion. A group of 8th Ward resident panelists will take questions from the audience. The public is invited to attend. For more information, contact CopyLine Magazine @ (773) 375-8127. Juanita Bratcher is the Editor & Publisher of CopyLine Magazine. From: Derrick Johnson, President and CEO of the NAACP BALTIMORE — In response to the Russian sponsored Facebook ads released by Congress yesterday, the NAACP, the nation’s foremost civil rights organization, released the following statement: “These ads were designed to stoke animosity and disagreement among racial groups. They served as fuel for the divisive flames of the 2016 presidential election and planted seeds of intolerance that are now blossoming across our nation. “The ongoing increases in hate crimes, explicit and implicit bias, and police brutality have a direct correlation to the hatred spewed during the past presidential election and these fraudulent ads on Facebook. When combined with the racist and xenophobic policies emanating from the White House, our nation has reached a height of bias not seen in a long time. “The messages promoted by Russians on Facebook were nothing short of manipulative and disturbing. More than half of the 3,500 ads made explicit references to race, and many of those references disingenuously represented people of color. “These inflammatory ads depicted African Americans as violent, Muslims as terrorists, and immigrants as invaders. With the midterm elections less than six months away, Facebook and other social media networks have a corporate responsibility to ensure that their content and users are not positioned to be exploited in ways that undermine the democratic process and the integrity of the vote, whether through internal or external agents. But some residents are ready to pull out their secret weapon. It was in their hip pocket all along but they were waiting for the outcome of the Zoning Board decision and were ready to shift into Phase Two immediately if their complaint wasn’t treated in a fair manner. And they have already started the process. That secret weapon is “Spot Zoning”, which if proven can pull the bottom from under the decision made by the Zoning Board in the City Council Chambers yesterday. There were congratulatory remarks made to the alderman yesterday for getting her wish, but the 8th Ward residents who oppose it say: Not so fast to the alderman and her supporters. This decision might end up in the courtroom. Spot Zoning is an alternative and it’s possible that they will seek a lawyer to get through the bureaucratic mess thrown upon them. This is a serious matter. And for many who oppose it and lost the battle in the Zoning Board yesterday, they are not giving up yet. There’s the possibility it’s headed for legal action. In an article on Spot Zoning by Craig Hullinger, AICP and Chuck Eckenstahler, AICP, it states: “Webster defines spot as 1) a particular place of relatively small a definite limits, 2) a mark on a surface differing sharply in color from the surroundings, 3) a position; location and 4) a set of circumstances; a situation, especially a troublesome one.